We’re back to kick off 2019 with a bang by talking about some of the changes to the Guild Ball World Championship Circuit! Last year, over 600 Guild Ball fans participated worldwide in at least one of the National Championships or the SteamCon Last Chance Qualifier! In 2019 we’re incredibly keen to keep this figure marching onwards and upwards. In the last few weeks we’ve been announcing the expansion of the Guild Ball World Championship. So far, we’ve announced six of the new National Championships and today, its time to tell you the last two! We’re also going to be talking about a brand-new initiative for the Guild Ball World Championship circuit, the ‘Roaming Championship’. Over this last year we’ve seen frankly unprecedented expansion of Guild Ball within Spain and we couldn’t be prouder to reward the Spanish Guild Ball community with a National Championship of their own. Well done! Hosted by the Goblin Trader gaming café, the Spanish Championship will take place in Madrid on May 26th and 27th. From what we’ve seen so far, the Spanish Guild Ball Championship could be one of the largest National Championships even in its first year! The ‘Roaming Championship’ for 2018 – Italy! So, this year we had a LOT of options for adding new Championship events. On the one hand this is fantastic because it shows how fast Guild Ball is growing around the globe and how much people want to be a part of the World Championship. On the other hand, also it means that we had to turn down more than one country because we only have 8 new spots to add. So, we had an idea, the ‘Roaming Championship’. The Roaming Championship is a Championship event that is not fixed in one place, it will change country every year. Additionally, the Roaming Championship will be the ONLY Championship that doesn’t require 30 attendees to qualify its winner for free travel and accommodation at the World Championship. This allows us to do some quite exciting things. Even though Guild Ball is growing at an amazing rate, there are still some quite small but very dedicated communities around the world. New Zealand and Japan are perfect examples, conversations have been had with representatives of both countries regarding a National Championship. Unfortunately for both countries, we couldn’t justify giving either one a fixed National event just yet. The Roaming Championship will allow us to host a one-off National Championship in countries like New Zealand and Japan in future years and allow us to thank those communities for supporting Guild Ball. 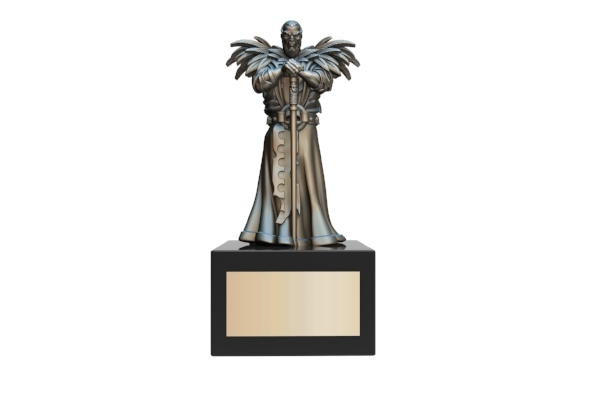 For its first year, we are proud to award the Roaming Championship to Italy in recognising of its fledgling Guild Ball community. Keep your eyes on the Roaming Championship, next year it could be in your country!